Carol McShane has been president and clinical director of Nebraska Nursing Consultants since its founding in 1991. Now semi-retired, she continues to consult while concentrating on the clinical and business aspects of the registry. A nurse since 1962, Carol's experience has been in nursing education, home health care, gerontology, nutrition, public health, and hospice. 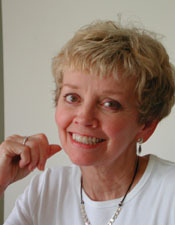 Carol is a member of the National Association of Professional Geriatric Care Managers, now known at Aging Life Care Association; the honorary nursing society, Sigma Theta Tau; the American and Nebraska Nurses Association; the Public Health Association of Nebraska; National Gerontological Nurses Association and its Heartland Chapter. Carol's Bachelor of Science in Nursing degree is from Georgetown University in Washington, DC. She received a Master of Science degree in human nutrition from University of Nebraska Lincoln and another Master of Science degree in nursing, with emphasis in gerontology and education from Creighton University in Omaha, NE. She is certified as a care manager by the National Academy of Certified Care Managers. Carol has seven grown children and nine grandchildren. She is a community activist who likes gardening, quilting and Pilates exercise. 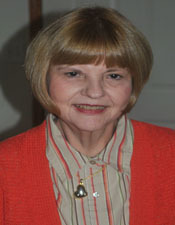 Pat Connor is a Consultant and Care Manager with Nebraska Nursing Consultants. An RN since 1966, Pat's career has been packed with a variety of challenging experiences in orthopedic, occupational, emergency room and, most recently, rehabilitation nursing. We honor Pat's experience and her expertise. Pat has been in private practice with Nebraska Nursing Consultants since 2000—the longest of all our RNs. Her clients appreciate her expertise and her calming reassurance. We value her experience and her nursing perspective. Pat received her RN diploma from Mary Lanning Hospital School of Nursing in Hastings, NE. Her Bachelor of Science in Nursing is from Nebraska Wesleyan University in Lincoln, NE. Pat has three grown children and seven grandchildren. She's an avid walker, bicyclist, reader and bridge player, is active in her church, and enjoys, above all, being "Grandma Pat" to her grandchildren. Mary L. Tines, RN, BS, BSN is a foot care specialist with Nebraska Nursing Consultants's Feet First service. She is based in Lincoln. Mary's career pathway includes both nursing and education which means NNC is doubly blessed. We in nursing recognize that much of nursing involves teaching. Mary holds an Associate Degree in Nursing from the University of Nebraska Medical Center where she received the "Nurse of the Year" award. Her Bachelor of Science in Nursing degree is from Nebraska Wesleyan University where she was inducted into Alpha Sigma Lamda, the honorary society for non-traditional students. Mary's education background developed from her Bachelor of Arts in Theology and Elementary Education degree (with Honors) from Immaculata College in Pennsylvania. In addition, she has a Bachelor of Science in Home Economics Education, K-12 (with Honors), also from Immaculata. She has taught both elementary and high school students. A "seasoned" RN, Mary's nursing practice includes experience in family physician offices, oncology nursing, rehabilitation nursing and care of people with developmental disabilities. She is a keen advocate for preventive health and has focused on the relationship of diet to wellness. Mary fully believes that people feel better if their feet feel good. She has been well-trained in the care and comfort of the foot. Monitoring and careful foot care is essential for people who have diabetes, poor circulation to their feet, or limited feeling in their feet. Professional foot care is helpful for people whose vision, flexibility or arm strength is limited. Mary's clients really like the relaxing foot massage that comes after feet are soaked, nails are trimmed and callouses are smoothed. NNC's foot care program, FEET FIRST, is unique because Mary comes to you in your home! She offers is a healthy treat for your feet! And, as the NNC Feet First ad says, "Your Feet Will Smile!" (Imagine that!) To read more about FEET FIRST. Mary's first priority is family. She has a wonderful husband and three children who keep her life on the go. Mary is active in her children's school and in her church. She also enjoys flower gardening, sewing, reading and a good cup of coffee with friend. Linda is a Consultant and Care Manager with Nebraska Nursing Consultants. She is a proud “diploma nurse” graduate of Nebraska Methodist School of Nursing. She also earned a Bachelor of Arts in Allied Health at Doane College. Her practice has included hospital-based medical and obstetrical nursing followed by several years working with elders as a staff nurse and Director of Nurses in nursing homes and assisted living facilities. Linda has also enjoyed caring for clients in their homes, providing wound-healing care, assistance with rehabilitation and chronic illness management. Linda’s nursing experience, coupled with her personal experience as a caregiver to her family members, is a plus for her NNC clients. They and she know first-hand what an asset a good sense of humor can be. Pat Mehmken is a Consultant and Care Manager with Nebraska Nursing Consultants. An RN since 1972, Pat is a “diploma nurse” graduate of Nebraska Methodist School of Nursing in Omaha. She earned a Bachelor of Science in Nursing and a Masters of Science in Nursing from the University of Nebraska Medical Center in Omaha. For 26 years, Pat was the Administrator of Home Health at Tabitha Health in Lincoln. A trusted leader in Lincoln’s health community, Pat, as administrator, was responsible for rehabilitation services (Physical, Occupational and Speech Therapy) as well as nursing and dietitian services. To say she knows home health inside and out is an understatement. Pat’s experience also includes teaching at Nebraska Wesleyan’s School of Nursing, a stint as a Public Health Nurse, and staff nursing in medical-surgical, intensive care and emergency room units. Pat recently retired as Commander, 155th Medical Group, Nebraska Air National Guard. As a military nurse, Pat was required to attend regular nursing assessment courses to hone her nursing skills. In addition, Pat completed a comprehensive six week Geriatric Nursing Course in 2011, which was a Midwest Geriatric Nursing Quality Improvement Project, through the University of Nebraska Medical Center College of Nursing, Nebraska Methodist College and local health care partners. She has subsequently attended Gerontological Nursing refresher courses provided by Nebraska Methodist College. Pat is a member of both the Heartland and the National Gerontological Nurses Associations. Her comprehensive knowledge of the health care community in Lincoln is an advantage for her clients. She is delighted to be able to provide primary care nursing with NNC. Primary care means each client is cared for by the same RN—a luxury in the world of health care as it exists today. Pat enjoys gardening, yard work, reading, genealogy, traveling and taking long walks with her dog. She was humbled by her experience volunteering on a mission to a remote village in Honduras to build homes and provide medical care for villagers. *All our nurses are RNs registered by the State of Nebraska. They are therefore subject to regular professional review for license renewal and to the State's continuing education requirements. References for each RN are available upon request.